Meir Katz has primary responsibility for most of the Berkman Law Office’s appellate briefs and dispositive motions. He was previously a litigator for two nonprofit litigation firms in which he had the opportunity to write numerous briefs to the U.S. Supreme Court and other courts on issues of constitutional law, religion, civil procedure, terrorism, and a host of other matters. He is additionally the author of five scholarly legal articles. He has bachelor’s and master’s degrees in Talmudic Law, which he received from the Ner Israel Rabbinical College, and received his law degree from Georgetown University Law Center. Meir was elected to the Order of the Coif and is a member of the Appellate Practice Committee of the Maryland State Bar Association. Before going to law school, Meir was an avid photographer and had the honor of publishing some of his photographs. 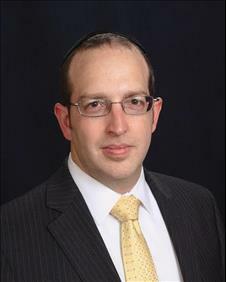 He is additionally a Director of Shearith Israel Congregation in Baltimore. When is Medical Care “Futile”? The Institutional Competence of the Medical Profession Regarding the Provision of Life-Sustaining Medical Care, 90 Neb. L. Rev. 1 (2011) (lead article). The Economics of Section 170: A Case for the Charitable Deduction of Parochial School Tuition, 12 Rutgers J.L. & Religion 224 (2011). The State of Blaine: A Closer Look at the Blaine Amendments and Their Modern Application, 12 Engage 111 (2011) (a publication of The Federalist Society). Towards a New Moral Paradigm in Healthcare Delivery: Accounting for Individuals, 36 Am. J.L. & Med. 78 (2010). Bioterrorism and Public Law: The Ethics of Scarce Medical Resource Allocation in Mass Casualty Situations, 21 Geo. J. Legal Ethics 795 (2008).